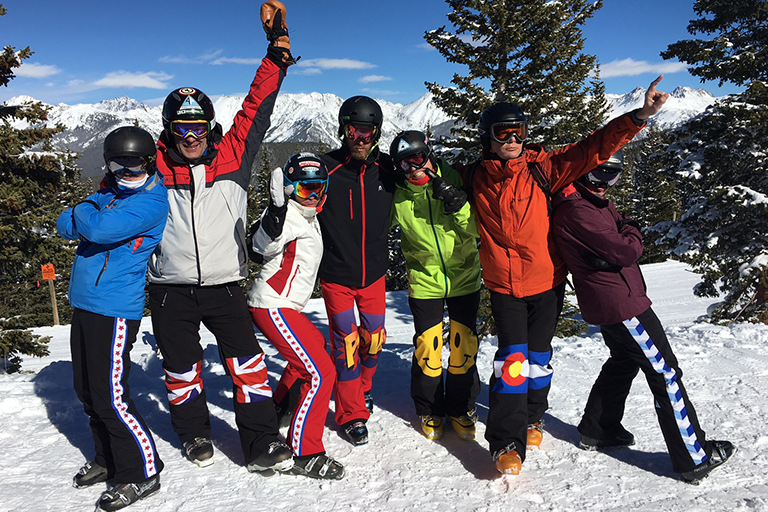 When David Urban’s custom-made ski pants with smiley faces on the knees became a topic of conversation, he thought, “Maybe there’s a business opportunity here.” Urban took that concept and started Powder Point Sports in Denver where customers can dream up designs — the choices are endless — to be appended to soft-shell ski pants using sublimation. Or they can purchase prefabricated pants with designs such as the Colorado flag or, you guessed it, smiley faces. Custom-made knee panels start at $250. For more information, visit powderpointsports.com.